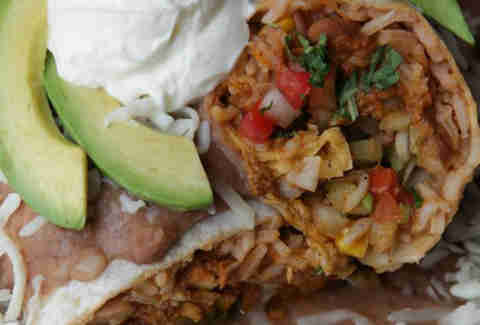 For all the times you woke up too late to score one of the best breakfast burritos in LA (it happens, no judgement here), we've got the next best thing for you: the 11 best burrito burritos in all of LA. Quietly tucked in a strip mall along Westwood Blvd, Eduardo's has long been a reliable standby for UCLAers and anyone else wisely waiting out traffic on the Westside. 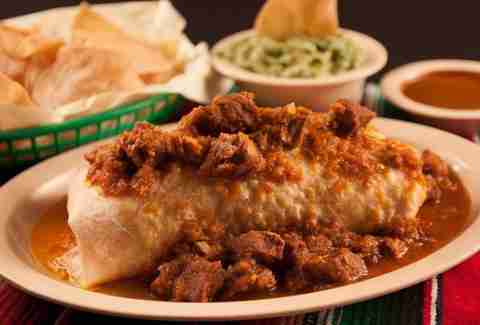 Humble and fresh, the “world famous” Border Burrito hits you with maximum carne asada action and fresh guac, plus serves as a great delivery system for the array of house salsas. An Eastside institution since 1955, El Tepeyac has been slinging smothered burritos the size of newborns since before you were the size of a newborn. Manuel may be handing out tequila shots at the Great Burrito in the Sky now, but the modestly-sized 2.5lb Hollenbeck de Machaca still delivers: a griddled tortilla loaded with tender shredded beef, cheddar, eggs, jalapeños, rice, beans, and guac, all smothered in deep red ranchera sauce. Wait, KOSHER DELICIOUS CARNITAS? How does that work? Oh it's a Top Chef dude doing short rib that's braised for more than 18 hours in duck fat? Yep, that'll do it. 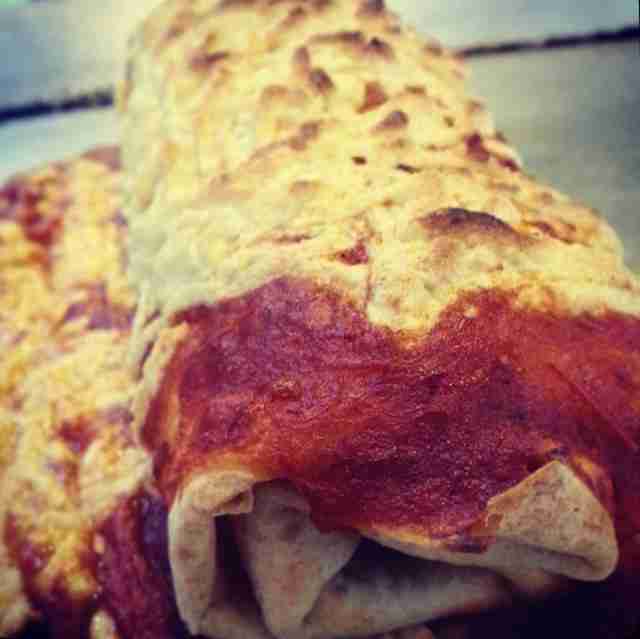 You know when you see the tortillas being made by hand in front of you that your burrito dreams are about to come true. 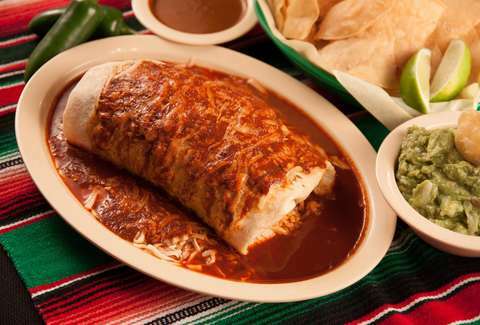 Order the famed Chile Relleno-stuffed burrito loaded with charred and tender asada at this classic outpost. Then order another one. Then think about never eating again. You’ve probably seen the massive line as you’ve cruised past on Olympic or La Brea late at night and wondered if the wait could even be worthwhile. Well, it is. The tacos are legit, but a burrito loaded with freshly sliced al pastor and pineapple is the kind of thing that turns good late nights into great ones. 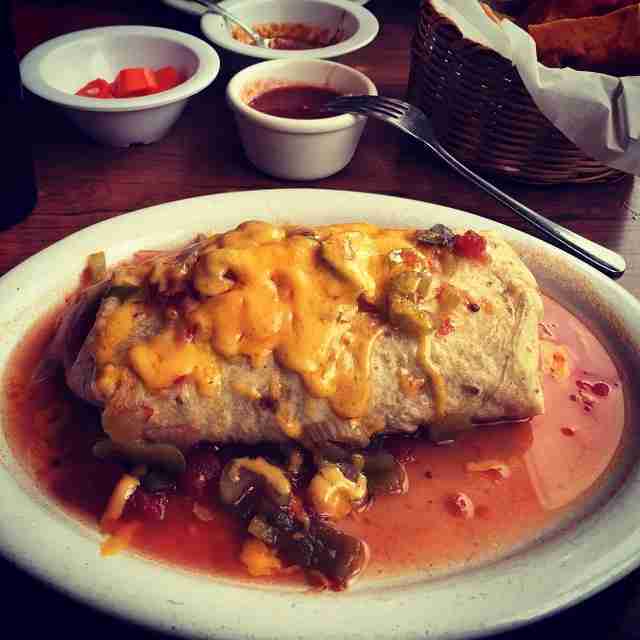 Everything you've heard is true, assuming you've heard that this pillow of burrito's awesomeness contains the revered blend of refried beans, melty cheese, and green chile salsa. It's simple. And it's delicious. While the tacos deservedly get lots of attention at this family-run stand, you can maximize your enjoyment by burrito-sizing that goodness. The machaca is fantastic, but the cochinita pibil burrito -- Yucatan-style, slow-roasted pork with citrusy achiote -- reigns supreme. If their stellar name alone isn’t enough to convince you, their massive spicy chipotle burrito will. A 32oz Tecate? Also pretty convincing. 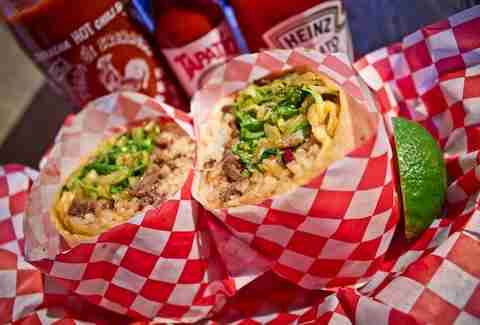 Roi Choi may be the man best known for his Mexi-Korean mash-ups, but this former food truck outpost can also hold its own when dishing up the crazy-good Kalbi short rib ‘rito love. Branching out from their Beverly Blvd location, Escuela is now also serving up their much-loved (and responsibly raised!) Mexi-Cali plates in Pasadena. 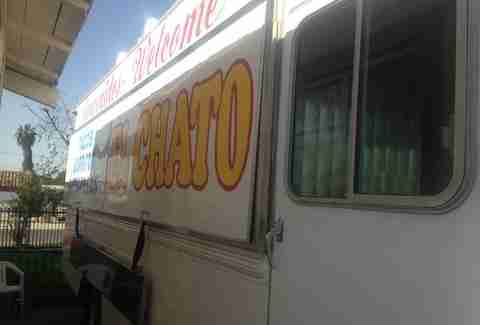 Thankfully their burrito with braised pork shoulder, refried beans, and green chile made the trip too. This cash-only Santa Monica stalwart goes heavy on the kitsch, strong on the ‘ritas, and wonderfully sloppy on the salsa and cheese that covers their chile relleno- and bean-stuffed burrito. 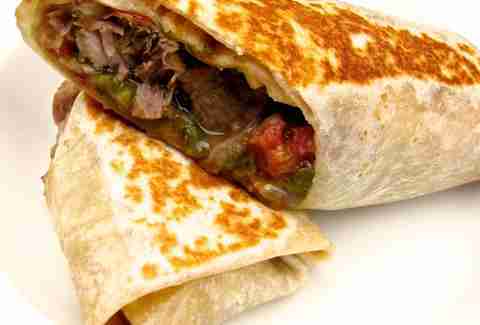 Danny Jensen is a regular Thrillist contributor and firmly believes that every day could be improved by a burrito. Tell him how he missed your favorite burrito on Twitter and Instagram.